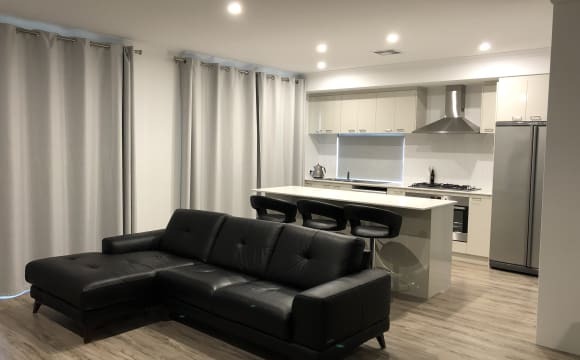 originally from Perth, starting up a new job in town planning in Albany, commencing 29/4 and looking for a room to rent out, for 6 months or so, or until i find my feet. Very clean, social and looking forward to meeting new people. Originally/currently in Perth, moving to Albany for 6 months to continue my work in the Agricultural Finance sector. Clean &amp; tidy, love to cook and Netflix binge in my spare time. I come from Taiwan, I'm friendly and easy going. I like to cook and always keep clean. Looking for rental by myself. Length of stay negotiable. 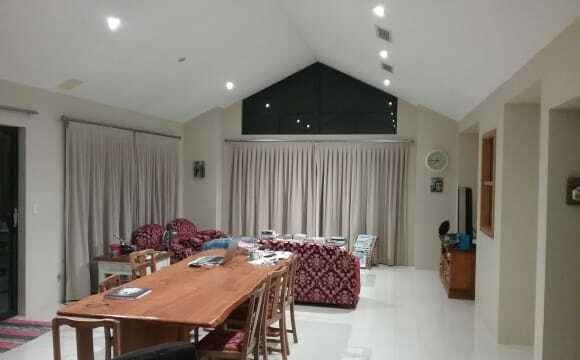 The house is fully furnished with a very relaxed vibe, great kitchen for those that love cooking and an amazing bathroom to regroup after a hard day at the office.. We have Netflix and foxtel, unlimited internet and air conditioning..
Close to shops transport beach 4 kms away large room small house walk in robe . I am clean, quiet and respectful usually busy working or studying however don't mind to spend some time with housemates from time to time :) I am a field-research scientist who works in the agricultural industry. Originally from Taiwan, traveled and multilingual. Looking for like-minded, mature, and respectful people to live with. I am clean and tidy. I respect others privacy and yet can still be friendly. I can cook occasionally some of its pretty great haha. I'm Stefan, I lived most of my life in the South West, have lived up in Perth for the past 3 years and are now looking to move back down to Bunbury to be close to family. Have worked a fulltime retail job that whole time, but will be unemployed temporarily when I first move down (I don't have a job to go to down there, my aim is to get to Bunbury first and then start cold-canvassing). That said, I'm always good with rent and bills, and my current landlord can attest to taht. I'm introverted, but open, honest, and enjoy deep conversations. I am very big into politics and watch political podcasts all the time. I don't drink, smoke or do drugs. I have a ginger cat named Zoe who is super-affectionate. Looking for a nice place with just 1 or 2 other people, prefereably people someone who will not just be my housemates, but be my friends. Clean, fully furnished cute little new house. In a quiet area and close to the park. 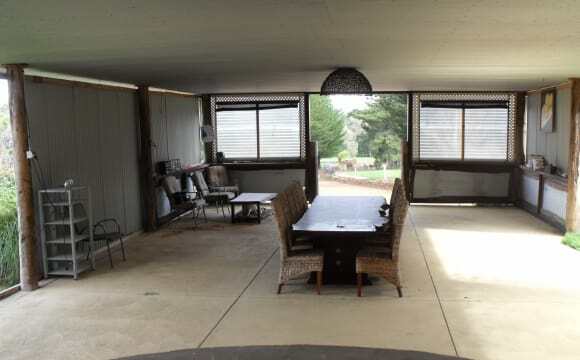 The house has lots of space with numerous options for living areas. Lots of privacy as the house is on a very large block and set back from the street. 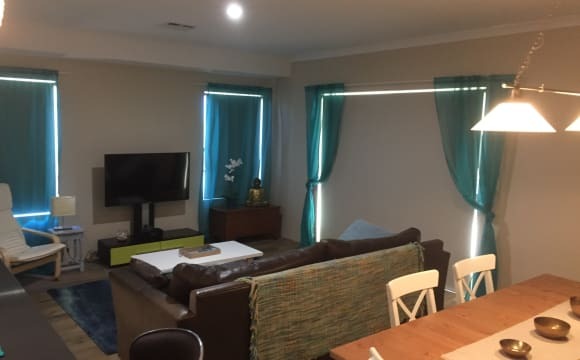 Large gourmet kitchen, dining area with high ceilings, A number of outdoor areas, Large pizzeria / bbq area under cover, Reverse cycle aircon, Wi-fi, Netflix. $30 to cover all bills. Should a couple want to stay in the 1 room - rent will be $220 plus bills. Huge home with lots of indoor and outdoor living areas. Spacious setup that allows for both privacy and company as you prefer. Huge home, lots of separate living areas. Maximum of two to each bathroom. Fastest Internet in the Southwest, close to the beach and only a 10 minute drive from the Bunbury City centre. Large house with plenty of space aswell and you’ll have the house mostly to yourself as I do a lot of shift work. All pets considered, friendly dog highly encouraged to keep my puppy company. I’m either looking for a couple or two individuals. Couples rent will be $275 with bills included in rent for the furnished bedroom or $250 for an unfurnished bedroom. Smart tv Great size lounge with sofa bed Air conditioned lounge Always have space for yourself Friendly and helpful house mates! Large house and yard. Very comfortable with indoor pool and games room.